[Correction: New Webinar Registration Link] 2017 Fulbright-Hays Seminars Abroad: Apply NOW! Apply Now to the 2017 Fulbright-Hays Seminars Abroad Program! Did you know that the U.S. Department of Education provides grants to K-12 and postsecondary educators to study and travel abroad? In 2017, summer programs will be offered in Bulgaria, Chile, and Thailand. A total of 48 awards are available (sixteen per program). The program covers airfare, room and board, and program costs. Teacher participants are responsible for a cost-share of $600. "Without a doubt the ENTIRE trip was amazing! All of the activities were related to each other and sequenced in a thoughtful way. All activities were meaningful and left a lasting impression." "Thanks to the inspired and collaborative contributions from my fellow participants, I return with an arsenal of lessons that bring a modest slice of the world back home to my students." "There have been so many great collaborations to come out of the Seminars Abroad program, and I'm filled with gratitude. 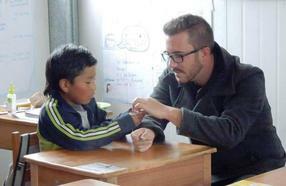 The Fulbright-Hays programs have done so much for my research and teaching!" The 2017 Seminars Abroad application is now available on the G5 website at www.g5.gov. If you are a new user, click “Sign Up” on the G5 Homepage. Once registered and activated, click on “Package Submission” under Grant Setup. Follow the steps provided, filling out the forms and uploading the necessary files. See the Application package for more detailed directions. Join us for a webinar at 2:00pm ET on December 5, 2016, for technical assistance in preparing your Seminars Abroad application. IFLE staff will provide webinar attendees with guidance on how to use the G5 electronic application system, prepare a competitive application, and troubleshoot technical issues. In order for the webinar to best serve the needs of all applicants, please submit any questions regarding the competition and application in advance to Maria Chang (maria.chang@ed.gov) so that we can be sure to address them during the session. 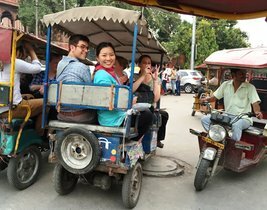 For five weeks in July and August 2016, sixteen U.S. high school educators explored issues, challenges and strategies related to India’s developmental goals. During the seminar, participants broadened their knowledge of India’s past, present and future socio-economic developmental strategies, and learned about the rich and diverse cultural heritage of the country through visits to Delhi, Jaipur, Ahmedabad, Pune, Madurai, Kolkata, and Varanasi. The group met with policymakers and planners, academicians, social workers and community members on their visits to organizations working in the areas of environmental protection, renewable energy, poverty eradication, women’s empowerment, and education. This past summer's Seminar Abroad to Peru offered sixteen K-8 teachers from the U.S. the opportunity to learn about present-day Peru through a guided exploration of the country’s history. 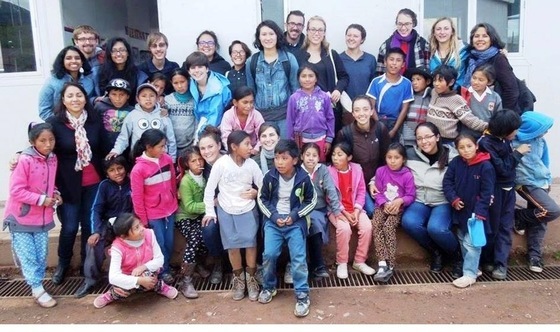 The trip featured cultural, political and social visits in and around Arequipa, Cusco, Lima, Madre de Dios, and Puno. Participants interacted with Peruvian specialists in education, history, art, architecture, economic and public policy during visits to urban areas and historical towns, acquiring a unique insight into the challenges facing Peruvian culture in the 21st century. 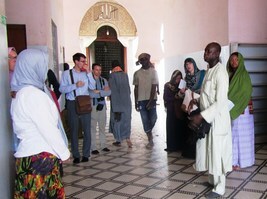 The 2016 Seminar Abroad to Senegal offered an opportunity for sixteen postsecondary faculty from U.S. institutions to explore religious and cultural diversity in West Africa. 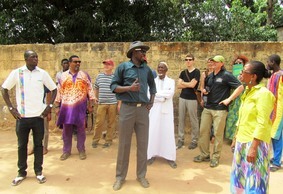 The seminar explored Senegal as a diverse society with peaceful ethnic and religious coexistence, and participants had the chance to meet with academics, religious leaders, and activists from diverse disciplines and organizations in areas like Dakar, Gorée, Saint-Louis, Touba, Djiloor, Toubacouta, Ziguinchor, and Cap Skirrig. Visits to mosques and churches, historic, cultural, and political sites, civil society groups, and universities provided participants with insight into the expressions of Islam, Christianity, and indigenous religions in the region as well as broad knowledge about the country to integrate into their classes, schools, and communities back in the U.S.
Sixteen U.S. K-12 teachers traveled to China last summer with the Seminars Abroad Program. 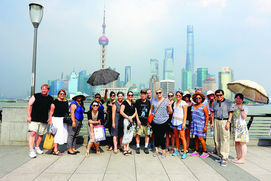 The teachers learned about China's educational system through visits to China's Ministry of Education, Beijing's Dandelion School and Nong Jia Nu School, Tsinghua University, Chongqing's Tongliang Middle School, and the Shanghai Institutes for International Studies, visiting with educators, students, government officials, and public policy experts. 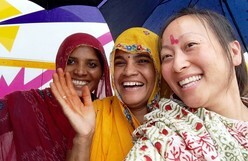 Participants also learned about Chinese history, arts, religion, and traditional medicine through visits to Tian'anmen Square, the Forbidden City, the Great Wall, the Qin Terra Cotta Warriors, Banpo Neolithic village, Beijing's Dashanzi Art District, the Great Mosque, Jing'an Temple, and the Shanghai University of Traditional Chinese Medicine. Watch our YouTube video about the 2015 China Seminar HERE! Questions about Seminars Abroad? Contact Maria Chang at maria.chang@ed.gov. Subscribe to IFLE's YouTube channel to keep up with our latest webinars and grant program videos. And don't miss our video featuring the 2015 Fulbright-Hays Seminar Abroad to China! IFLE is on Twitter with the latest from the world of international and foreign language education. Follow us @GoGlobalED and tell your friends! We'll see you in the Twittersphere! If you know someone who would like to receive the IFLE newsletter, encourage them to sign up HERE!